Sound (9/10) – 1MORE first got our attention as the iF Design Award-winning minds behind Xiaomi’s ultra-successful Piston earphone line. Now, the San Diego-based company is carving out a piece of the headphone market under its own brand with single-, dual-, and triple-driver models, all in a compact “half in-ear” form factor similar to Xiaomi’s latest releases. The 1MORE Triple Driver is the flagship model and, to me, reads like a direct upgrade to one the better Xiaomi earphones, the Piston 3. The tuning of both of these earphones is a popular and versatile “mild v-shape”, but the 1MORE Triple makes the Piston 3 sound comparatively mid-recessed, muffled, narrow in soundstage, and lacking in both detail and refinement. As with other “v-shaped” earphones, the 1MORE triples deliver some added bass punch, but nothing even close to basshead levels. Bass quality is superior to all of the Piston models including the latest Piston Hybrid, with less bass boom and more texture. In terms of bass quantity, the earphone ranks right between “punchy” but relatively balanced-sounding sets such as the DUNU Titan 1 and VSonic GR07 Bass Edition, and more consumer-friendly bass-heavy sets such as the RHA MA750. The 1MORE Triple has a slightly warm tone, minimal midrange recession, and smooth, refined highs – a signature that’s both consumer- and audiophile-friendly. It makes the Xiaomi Piston earphones seem unrefined and light on detail in comparison. Even the Piston 3, the clearest and most balanced earphone in Xiaomi’s line, sounds mid-recessed a little muddy next to the 1MORE unit, which is clearer and more balanced despite its warmer tone. Compared to higher-end sets, especially ones tuned for flatter/more neutral sound, clarity is merely ok – the 1MORE won’t keep up with something like an Etymotic HF5 or even the VSonic GR07, but for its price and sound signature it is a fantastic-sounding earphone – detailed, refined, relatively punchy, and warm-ish in tone. Even the soundstage presentation of the 1MORE is natural and convincing – it is spacious and dynamic, again making the Pistons sound narrow and congested in comparison. Below are head-to-head comparisons between the 1MORE Triple Driver In-Ear Headphones and several sets that could be considered competitors, provided as additional context for the earphone’s performance. Both of these earphones have broken pricing conventions for hybrid earphones – the Xiaomi with the first (mainstream) sub-$50 dual-driver hybrid, and the 1MORE with the first triple-driver hybrid under $100. There are many parallels between the two when it comes to fit, functionality, and even color scheme, but the pricier 1MORE unit boasts a more elegant design and significantly more refined sound. The tuning of the 1MORE unit is more balanced, accurate, and neutral, with a “shallower” v-shape to its frequency response. It is much more refined and natural as a result, and boasts better clarity and resolution for a significantly more Hi-Fi audio experience. The Xiaomi, on the other hand, is bassier, warmer, and darker. While it offers a little more impact, bass control (quality) lags way behind, appearing more intrusive and less detailed than the 1MORE Triple. The Xiaomi’s sound signature is overall more v-shaped and its midrange is less prominent. Vocals are less intelligible and clarity lags behind that of the pricier earphone by a margin. Overall, while the Xiaomi Hybrid can be a hair smoother, its only real advantages over the 1MORE are its low price and appeal to those who prefer a bassier sound to the more neutral tuning of the 1MORE. The 1MORE Triple and HiFiMan RE-400 are two very different takes on mid-tier audiophile earphones – different to such an extent that getting used to either one of them all but guarantees that the other will sound “off” in a direct comparison. The RE-400 is much more mid-centric when compared to the slightly v-shaped 1MORE Triple. Its bass is tighter and less impactful, and the overall sound is not as rich and full-bodied. It has more presence in the upper midrange, too, which together with the thinner sound means the 1MORE triple tends to sound more smooth and non-fatiguing. The 1MORE Triple has quite a bit more bass impact and better bass depth, and the mids are more recessed compared to the RE-400. The overall tone is warmer and darker, and while the 1MORE is not the most spacious earphone in its class, it still has a more well-rounded and layered presentation compared to the RE-400. The GR07 has been a reference point in the world of portable Hi-Fi going on five years now, and while the 1MORE Triple is relatively balanced-sounding as far as hybrid earphones go, compared to the GR07 its sound is noticeably more colored. The 1MORE is a little bassier than the GR07, with a warmer tone and a smoother treble presentation. It yields to the VSonics slightly in overall clarity as a result of its bass being a bit more intrusive and the midrange being more subdued and recessed. The GR07 is flatter overall, with less bass emphasis and mids that are more balanced and prominent. The presentation of the GR07 is wider and more “out of the head”. Altogether, this allows the GR07 to sound more lively and energetic. On the flipside, the GR07 is noticeably more prone to harshness and sibilance. Overall, the 1MORE Triple Driver clearly has the more conventional and consumer-friendly tuning – it is smoother and carries more bass impact, but doesn’t quite have the balance or spaciousness of the GR07. For many listeners it will be the safer option, but it’s not going to replace the GR07 as my $100 “audiophile” reference. The Titan 1 is another similarly-priced and very well-regarded audiophile earphone that offers a contrasting audio experience. Most notably, it is significantly brighter and has much more forward upper mids than the 1MORE Triple, resulting in vocals (especially female vocals) being way more upfront. As a result, the Titan 1 tends to sound clearer and more spacious, but is also less forgiving. The 1MORE Triple is warmer and bassier, with a more “v-shaped” sound signature and more recessed mids. It doesn’t appear as clear or detailed as the Titan 1, but keeps up in detail and is arguably more natural in tone than the much brighter DUNU unit. The Titan 1 may well be more proficient technically – its bass quality is better, it is clearer, and it has a larger soundstage – but I find the tonal character of the Triple to be more natural and, more often than not, preferable. The Fidelio S2 is similar to the 1MORE Triple in many ways, starting with the form factor – both are consumer-friendly, earbud-style IEMs with a part-plastic, part-metal construction. They are also very evenly matched in performance, albeit with different sound signatures. The Fidelio S2 is something of a compromise between the VSonic GR07 and HiFiMan RE-400, and stacks up to the 1MORE Triple in a way consistent with those two sets. It is flatter overall with more forward mids, a more neutral tone, and slightly better clarity and crispness thanks to the greater upper midrange presence and slightly brighter tone. The 1MORE is more v-shaped, has more bass emphasis, and boasts a warmer tone. The bass is a little less controlled and more intrusive, but the midrange and treble are still surprisingly clean and detailed, putting overall performance on-par with the Philips. The MA750 is a bassier, more consumer-friendly earphone than the more audiophile-focused sets discussed above. Compared to the 1MORE Triple it is even warmer and more mid-recessed, and has more prominent and slightly less controlled bass. The 1MORE, while far from a reference set, is flatter and more balanced than the MA750. Its bass is slightly less powerful and impactful, and predictably tighter as well, which permits it better clarity and lets it surpass the MA750 in overall fidelity. 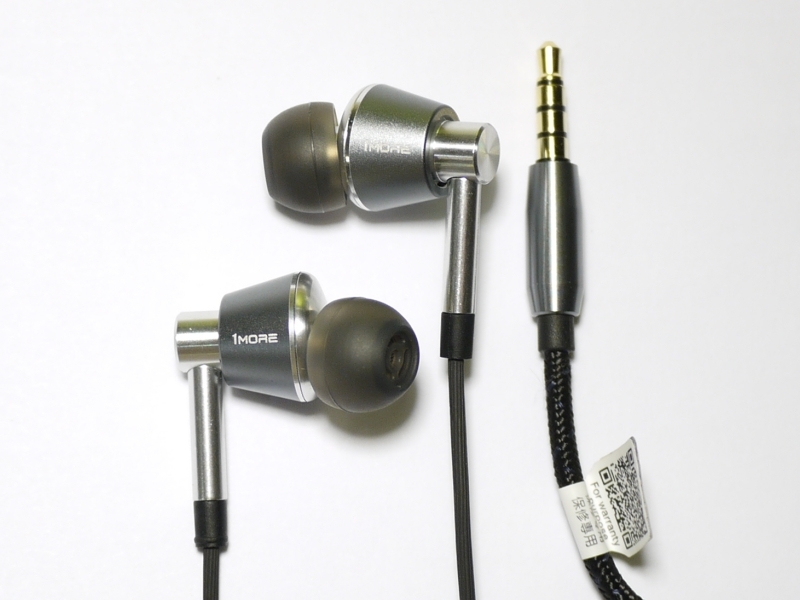 Value (9.5/10) – The new 1MORE flagship has an innately high value proposition with its triple-driver hybrid internals – a configuration that, while not new or unique, is usually found in much pricier earphones. I was worried that it would go underutilized and amount to a marketing gimmick, but that isn’t the case – the tuning does take advantage of the higher-end driver, and while the sound signature is a compromise between “audiophile” and “consumer”, the performance would still be more than acceptable at two or three times the price. The consumer-friendly tuning is also not a bad thing in itself, and it makes the 1MORE a direct, natural upgrade to some very popular budget earphones including the Xiaomi Piston 3, and an easy recommendation for many listeners. Can anyone tell me how is it compared to the latest Xiaomi pro hd earphones (https://www.mi.com/in/headphonesprohd/) – especially the highs – is it as sibilant as the pro HD? Hi Joker, I own a pair of MacaW GT100s not sure whether you had a chance to listen these IEM. But if you do in your opinion how is 1MORE Triple Drivers and DUNU Titan 1 compared to them in terms of pure sound quality as I am looking into upgrade between them. And also between 1MORE Triple Drivers and DUNU Titan 1 which one is more suitable for listening to ballads, R&B and Pop as these genres made up my entire library. Hi! I’ve almost gone nuts trying to decide on a pair of IEMs. I know this question is definitely asked way too many times but I’ve spent enough time researching four main choices which I cannot decide on at all. MA750, Yamaha EPH 100s, 1more Triple Drivers and lastly Shure SE215 being the last choice. My question is, are the MA750 / EPHs better than the 1mores? You’ve given both of them 8.9/10, just a bit lower than the 1mores. But the RHA and Yamahas are more expensive than the 1mores. I mainly listen to pop, rap, EDM, R&B, and a few more genres sometimes. Im just scared of regrets, since we can’t return stuff here easily. Compared to the Triple Driver, I found the SE215’s bass to be too boomy. The Triple Driver was more refined and detailed. Hi Joker! From the review, these sound like the perfect replacement (and similar sound signature) for the Steelseries Flux (non-Pro). Would you agree? I really think you should check out Zero Audio’s IEMs.. they can be had from Amazon with prime shipping, so you don’t have to import them or anything like you used to. I find both the Carbo Tenore and Duoza to be insanely good for the price… the Duoza is maybe 1 or 2 steps down from my HD600’s in overall fidelity, though with a different sound signature. The Tenore is my go-to recommendation for anyone looking for a pair under $50. I’m tempted by these, but I’m not so sure of the warmer sound. I really liked my GR07 (before it died) and my HF5s weren’t too bad before that…. But with “warmer” sets, I have bad memory of overwhelming bass with cheaper consumer IEMs (think Skullcandy) That said, I do quite like my Philips SHE3580 I have as a backup pair. I’m trying to see if I should try these or if I should look for something a bit more neutral. How would these compare to the Final Audio Heaven II? They are roughly in the same price bracket, or with the AD01? In general how would you position it with respect to the other headphones in its price range? The Heaven II is much flatter/more analytical – in comparison the 1MORE has a much more consumer-oriented sound with more bass and more recessed mids, lower clarity, and not quite as good detailing. The AD01 is the opposite – it has more bass than the 1MORE and approaches a “basshead” sound tuning. Clarity and detail (and soundstage) suffer a little as a result of the extra bass so it’s a little behind the 1MORE in those. To get a feel how they compare to other earphone in the same price range, you can just cap the comparison chart off at $150 or so here: https://theheadphonelist.com/headphone-list/#1more-triple-driver-in-ear-headphones-review-e1001 and see where the 1MORE lands. Hi friend. I bought these triple driver and titan 1 after reading your review and i love them both. Titans has the most amazing bass and 1more is an overall winner. Now I’m thinking of adding another iem to my collection with similar price/performance. I always wanted to give a try to gr07 BE, but sibilance problem (as mentioned in most of the reviews) always stopped me from doing so. Unfortunately I can’t tell how much treble sensitive I am because of my inexperience with other iems. I do find Titans brighter on some tracks but may be because of upper mids and not treble. I can still tolerate titans since this problem comes out only in some tracks, otherwise i find them to be quite smooth. In the past, i have enjoyed ostry, havi and RE400. The Titan1 is relatively smooth despite their boosted upper midrange and treble – there is a lot of presence there, but it’s not “peaky” like the GR07, if that makes sense. In terms of brightness as such, the GR07 is more neutral than the DUNU. You still might very much like the GR07 and not be offended by its top end at all – just wanted to make the point that the Titan1 might not be best gauge of that because its upper mids/treble are tuned differently. I think I’m just gonna buy them now. Thanks..
Just one more thing, I’d like to think GR07 can’t be more peaky than VSD3S, which i tried more than one occasion and found treble performance to be quite balanced? GR07 should be fine in that case – modern VSonic IEMs aren’t very far apart in treble intensity. Piggybacking off this. I’ve read the comparison between these are the Fiio EX1, however I’m still not sure which to go for. I have the Fiio EX1 (v1) now and they’re great – bass is well extended and controlled but sometimes the treble can be fatiguing. I listen to mainly garage, house and some hiphop just of my phone and usually go for a v-shaped set for the sparkle and brightness. I’m tempted to try out either the EX1 V2 or the 1MORE but I’m concerned about the 1MORE’s microphonics and isolation and if either of those are worth the extra money (EX1 £50, EX1v2 £65, 1MORE 75-100). Any extra info would be great as the EX1s broke today and I’m looking for a replacement asap. I just got my E1001 set and can immediately tell a difference in clarity and smoothness as compared to any other set I’m using. I don’t find the bass to be boomy or excessive, the mids insufficient, or the highs excessive. I’m beginning to see why I dropped off of the audiophile circuit. The conversations you hear from audiophiles sounds just like the conversations you hear from sommeliers. Deep, open, airy, present, crisp, sweet, warm, tangy, blah blah blah. Just like each tongue responds a little differently to tastes, each ear responds a little differently to sound. If you pick up the E1001 you will probably be happier than if you’re stuck with your factory ear buds. You can hear ‘more’ of the music. Whether you like the more that you get is up to your ear. artificial means when the bass hits you, you don’t feel it shaking your bones the way a full-sized speaker sometimes does… in other words… a little warm is exactly the way all In Ear “Monitors” ought to sound IMO! BTW I agree with this unit being less transparent than GR07’s and I prefer GR07’s specially when paired with a good amp, but the treble on triple drivers trumps the treble of GR07’s. Then again GR07’s have gigantic soundstage… I love them both but for different reasons. I agree with you, and I think there is a sweet spot for the “slight warmth” that in-ears should have – it should compensate for the small driver size and small amount of air moved, but still remain as transparent as possible, which is something the GR07 does really well. For me, the GR07 or Titan 1 level of bass “boost” feels more natural than the slightly higher 1MORE level, and also more natural than the lower bass level of something like an Etymotic or HiFiMan earphone. I can’t wait to read your opinion on gr07 bass 2017’s and gr07x earphones by the way. even non-members can get them, but i think you need to pay extra or something. it should still be below msrp. I’m looking for a V-shaped earbuds with mic for android and have some difficulties to decide between this one, the sennheiser momentum and the FRD80 (or any other recommendation under 100$). I’ve been used the e10m and the vsd2s, but they both stopped working quite fast, so I’m looking for a more reliable set. You wrote that the 1more set are not so good at isolation. how bad is it? can’t belive no one replied to this. I wanna know if these are better than the momentum in ear since they are in the same prince range? Any recommendation? How are they in terms of bass?? also, I’ve been looking through the reviews in Amazon and most of them say that the mic is not so good. could you confirm it? I don’t test the mic very thoroughly but I haven’t had any complaints so it must be about on-par with the other earphones I use. Most of these little inline mics are not very good if you compare them to the mic built into your phone or even car. Thank you for such a comprehensive review and comparison, I was wondering if you could help me choose between the 1MORE and Sennheiser Momentum, it will be powered by an IPhone 6. The only thing that scares me about the 1MORE IEM is the 32 ohm impedance versus the 16 ohm impedance on the Sennheiser Momentum, my iPhone might not be sufficient enough to push the 1MORE. 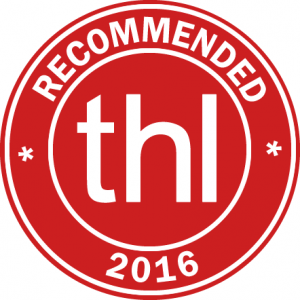 Thank you in advance and thanks again for your awesome review. Correction; 18 ohms impedance on the Sennheiser Momentum. I definitely wouldn’t worry about that, 32 ohms is common for portable headphones and well within what a portable mp3 device would be designed to drive. With impedance you really just want to avoid extremes – very high or very low – and 18-32 ohms doesn’t qualify as either. I’m using/listening with the 1MORE headphones as I’m writing this. I too have the iPhone 6 Plus, and I can tell you I love them. To give you an idea on how good they sound to me (for the money), I have in my vehicle a 20.000 dollar audio system. That’s right, a 20.000 dollar system. A 6 channel McIntosh and a Mono block McIntosh amp. Herts Mille 3 way set and 1x JL audio 13 inch TW5 sub. The source unit is the Pioneer Stage 4 DEX-P99RS with a iPad mini. I’m telling you this because I know sound quality. I have to say, for the money you can’t go wrong. You may be asking, if I have that much money tide up in my audio system in my vehicle, why so cheap on headphones. Well after spending countless hours and time listening to music in my vehicle, there’s no need to spend hundreds on headphones. When I feel the need to jam out, I head to my vehicle. The headphones only get used while I’m lying in bed relaxing. I hope this helps you make a decision. PS. I do have to say when it comes to sound. Everyone hears it differently. Me personally, I like my music to have an overall great sound. Not to harsh and not to boomy. Natural is my preference. And that’s what I love about the 1MORE sound. I had a pair of beats in ear headphones and I gave them away. Just spotted your comment and description of your ICE set up. I’m sure your system is one of the best you can get but due to the small dimensions of vehicles and the numerous hard surfaces such as windows, sound reflections will create positive and negative standing waves destroying some of the good work that your system has done. I love my 1More IEMs. They are definitely one of the best sets of ear phones in this price range. I concur with one of the previous comments that there are a number of great IEMs out there and to some extent it comes down to personal preferences. Some will want a bright transparent sound others will prefer a warmer smoother sound. These I would say head towards warm. If this is your preference 1Mores are hard to beat. I’m in search of a new iem, again. Before purchasing Dunu T1, I thought T1 would be end of my search for ultimate iem. Unfortunately, the search never ends. At times I find T1 harsh, and lean sounding like notes have no weight with them. Bass is alright, not perfect. I’d have liked a little more bass and full bodied sound with same level of clarity throughout. I really liked up front vocals and instruments (piano, acoustic and electric guitar) in my Ostry kc06A. I know it’s too much to ask, but do you have any recommendation by any chance or may be i should give my T1 a few more weeks? The Titan 1 is a relatively bright IEM and will never sound rich and warm; however, that’s part of what gives it the clarity it has. To try and find something that gives you maximum levels of both is unrealistic – more likely you’ll have to find a compromise and give up some clarity in exchange for a richer, smoother sound. The 1MORE Triple is actually a decent example of such a compromise – it is smoother and has more note weight through the bass and lower midrange, but it won’t reach the clarity of the Titan 1, nor does it have the forward vocals of the DUNU. I understand. I’ll take time with Titans and will see if I start to really like it’s signature. Between 1more and ma750, which one would you recommend since rha unit seems really well made or may be gr07 BE? I’m just worried about low bass and sibilance issues in vsonic. The MA750 and 1MORE are more likely to give you the bass and smoothness you are looking for compared to the Titan 1, but neither is going to have the clarity or the forward vocals. I’d probably stick with the 1MORE triple as a bit more of a “middle ground” out of the two of them. The MA750 is just way different from the KC06/Titan. Hey joker,which ear phones would u suggest for Rock and Metal music? It really depends on whether you like more balanced/neutral sound or you want your earphones to enhanced the amount of bass/treble/mids/whatever else to the original recording. The 1MORE boosts the highs and lows a little. There are IEMs that sound more “true” to the original, as mentioned in my comparisons above – for example the VSonic GR07 and Philips Fidelio S2. I personally prefer those for rock and metal, but if I wanted some bass boost the 1MORE would be a good way to go. Hi Joker, out of the Rha MA750 or the 1MORE triple drivers, which would you recommend? I love my Piston 2 but they are dying on me. I’d like bass quantity at least on par with the Piston 2. Thanks! In that case definitely the MA750… while it’s not a basshead earphone, it does have very good bass and the overall sound presentation is more similar to the Piston 2 – more warm and smooth, with a rich-sounding midrange and some bass boost. The Dunu DN-1000 seems to be a similar price point and driver configuration. I have a pair of the Xiaomi Hybrid that I like the sound of but I’m looking round for an upgrade to a triple driver. How do these compare to the DUNU DN-1000? DN-1000 is significantly more v-shaped than the 1MORE,meaning it has more boosted bass and treble relative to the midrange. It has good impact and clarity, but it’s not a very “neutral” sound. If you think you’ll enjoy this presentation, it is a very good buy. If you’re leaning towards something smoother and more balanced, go for the 1MORE even if it doesn’t have the same clarity as the DN-1000. Hey, thanks for getting back to me. I’ve owned a few different sets of headphones of the years. I find that I prefer models that have good bass. I have some Phonak Audeo PFE, that, to my ears sound best with the green filters installed. Although with the green filters installed the highs were a tad to rolled off, and they needed a few more levels more volume for the sound to fill out than with the black or grey filters. Further back than that I had a pair of Shure e2c’s that I didn’t like at all. No bass. Also a couple of pairs of on ears, Sennheiser 595 (Sound nice enough but bit lacking in the bass dept), Koss Porta Pro (Too much bass, not much clarity to the overall sound). I think the sound I like is what you’d describe as a v-shaped sound signature? I reckon I’ll pick a pair of the DN-1000 from a place that had a decent returns policy and give them a try. I’ll chirp back in once I’ve had a listen to them. Well, none of the earphones you listed would fall in the v-shaped category, but that’s not to say you won’t like the sound of a v-shaped earphone. The 1MORE and DN-1000 will both have more bass than something like an E2C or gray/black filter PFE, but aren’t as muddy as a PortaPro. Where did you get it from at such discount? So now only the stuff that REALLY impresses me gets reviewed. Yeah, the plan originally was to review everything, good and bad, but the market has really exploded in the last 3-4 years. I miss your review . you are gifted and the best . How is the sound compare to yamaha eph 100 and pinnacle p1 ? EPH-100 is going to be less v-shaped and more biased towards the lower half of the frequency spectrum. The 1MORE is brighter overall, the Yamaha is warmer and has a more solid and deep low end and less emphasis at the top. P1 is a little more similar to the 1MORE, but actually has less bass (esp. deep bass) and a thinner, more analytical sound. Treble on it is a little unusual, it’s smooth but has a slightly dry quality. Basically, it’s an even milder “v-shape” than the 1MORE with better clarity and detail, but also some bass roll-off and not as much of an advantage in treble quality as you may expect. 1) The bass boost goes way too far into the midrange; some may hear this as lower midrange “richness” but I describe it as bass bleed and unnatural thickness that affects overall clarity. 2) There is a significant drop in the mid-treble region that, in combination with the boosted upper treble, gives the treble an unnatural hollow and slightly splashy quality. On a related note, I did a three way comparison between the Triple Driver, the GR07 Bass Edition, and the new AAW Nebula Two, which can be found in my Nebula Two review on Head-Fi under this same username. The Nebula Two came out on top for me by a clear margin, and I find it to be a clear upgrade to the GR07 Bass Edition for not much more, making the Nebula Two an exceptional value for the price. Given that the AAW Nebula One has already been reviewed here on The Headphone List, will we be seeing a Nebula Two review in the future? Don’t disagree with that, the clarity is really only competitive in the sub-$100 range, and even then there are some IEMs with less bass bloat and clearer mids. Just not one of the strong suits of this set. I’m not the one who reviewed the AAW here, I think it was average_joe? Or maybe someone else. Anyway, I don’t have the hookup but chances are one of us will eventually cover the newer model. Wow great review. Really like the detailed comparisons to some of my favorite iems. I think this is what i want from my Titan1, smoother highs, a little thicker overall sound. I will most probably buy it this coming month. I think these two earphones compliment each other well. The most obvious difference at the outset will be the mids being a little recessed on the 1MORE, vs a little forward on the Titan, but assuming you can get used to that it will otherwise do what you want. How is its sound compared to westone w20? W20 is way flatter/more balanced; it has basically no bass emphasis and slightly “shelved” treble compared to these. The 1MORE is significantly more v-shaped. How does it compare to other hybrid triple drivers like dunu dn-2000 or T-peos Altone 200 or Fidue A83 ? It has its pros and cons against all of them, but generally the $200+ triples like the DN-2000 tend to trade off some of the warmth and smoothness of the 1MORE for a brighter, clearer sound, as they are targeted towards a more “audiophile” audience. Good eye! That’s totally my bad, submitted the wrong photo. Fixed now.